If you are the adventurous type and like to explore the far reaches of space, these beautiful terrain sets will be the perfect backdrop for your Sci-Fi deep explorations. Black Holes in space? This set provides a variety of options to choose from. Included in this set will be large black holes and a variety of small and medium ones that may not be as obvious to the unaware space traveler. 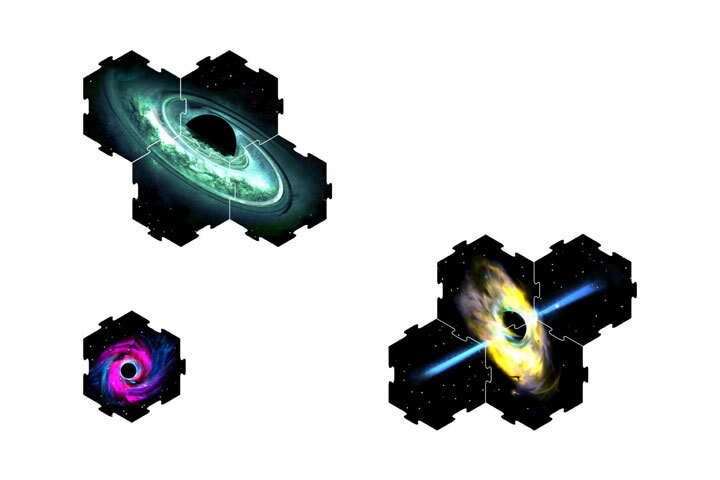 Either way you choose, this set is sure to provide what you need to create your own voids in space. The reverse side includes additional space tiles. 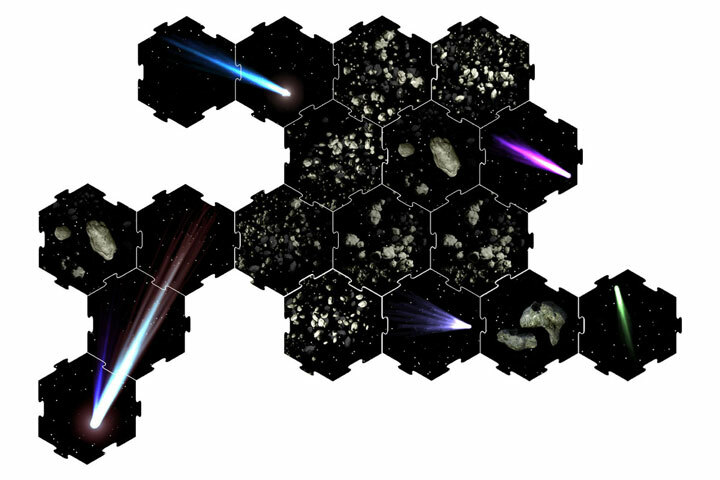 Comets, Asteroids and Meteors are what you will find in this space set. It’s hard to imagine all the things that fall from the sky or through the sky but with this set you can certainly create the experience for your own space odyssey. Crafted in vibrant colors this set is a must have for your Space adventure. The fronts of the tiles are loaded with the imagery of space bolides and the reverse provides additional open space tiles for your use. Did you know that these colorful swirls of spender in the sky are really a combination of gas and dirt. With this set of Gas Clouds you can create the beauty that your adventure deserves? Included in this set is a variety of sizes, shapes and colors of various Gas Cloud combinations. Use this set to create the awesome difference in your space adventures. The reverse side includes additional space tiles. Our first release in the Space series is the Planets and Moons set which includes a beautiful variety of different size and shape planets and moons with vibrant color combinations to create a beautiful backdrop for your Sci-Fi and deep space adventure games. This set includes different planets that have a combination of a realistic “scientific” look, as well as, an ample supply in the “space opera” style. 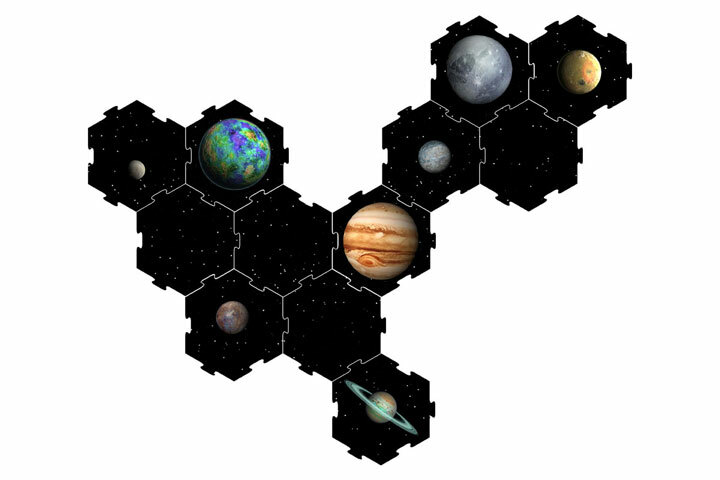 The Planet and Moon set include 45 planets and 25 moons on the front of your tiles with the reverse side being the brilliant night sky. All of these together will let you create a magnificent array of imaginative worlds. Stars, stars and more stars. 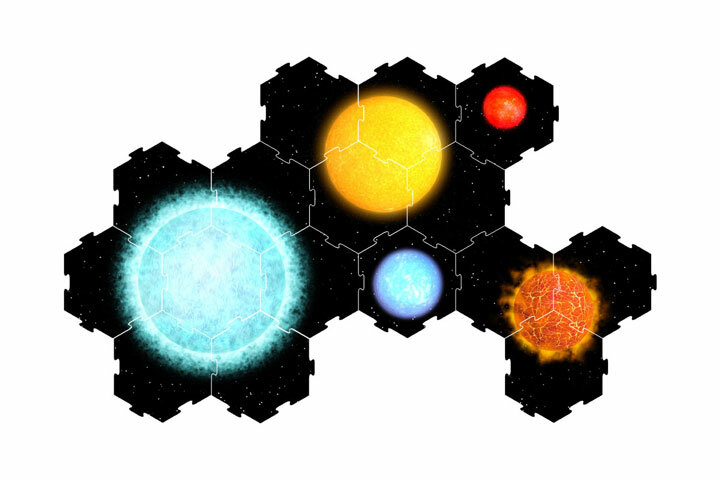 In this set you will have a variety of stars in different size, shapes, and colors that range from single hex images to large stars that expand to multiple tiles. With this variety of large stars, small stars, dying stars and so much more you can create an awesome imagery for your map. 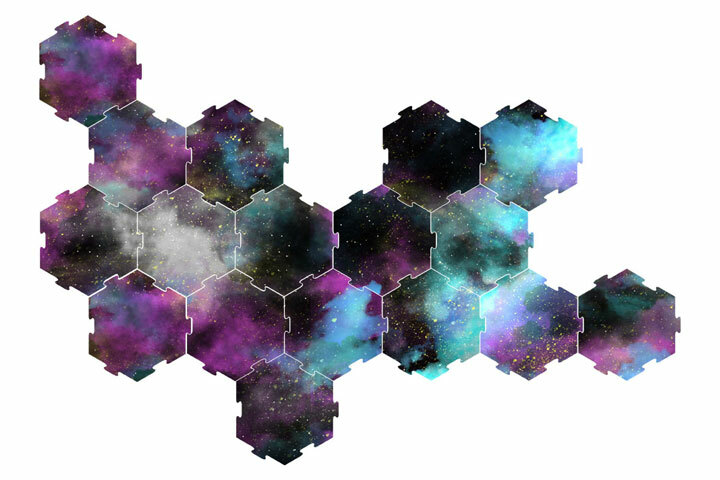 The front side of the tiles include all the varieties of stars and the reverse side will be open space. In this set you have a variety of star colors and sizes to choose from. Whether you are looking for a white dwarf or a red giant, this set allows you a wide range of options. With these tiles and YOUR creativity, your game board will certainly be something to admire.